When you are shut up all the year round in a place like Maiden Eggesford, with nothing to do but wash underclothing and attend Divine Service, you naturally incline to let yourself go a bit at times of festival and holidays. I’m in an effervescent sort of mood today as I’m about to motor to the seaside for a short, much-needed holiday. My journey will take in the Dorset towns of Maiden Newton and Bridport, which the scholars at Madam Eulalie suggest as likely locations for P.G. 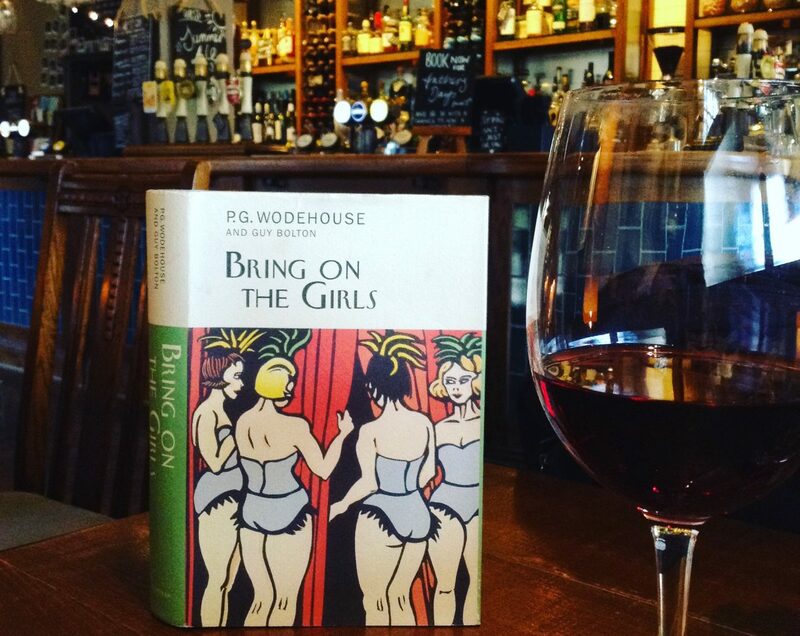 Wodehouse’s Maiden Eggesford and Bridmouth-on-Sea. Barmy Fotheringay-Phipps and Pongo Twistleton-Twistleton visit Maiden Eggesford in one of my favourite Wodehouse stories, ‘Tried in the Furnace’, where they both fall in love with the Reverend P.P. Briscoe’s daughter, Angelica. In accordance with her wishes, Barmy reluctantly agrees to take the Village Mothers on their Annual Outing. The proceedings would appear to have opened in a quiet and orderly manner. Sixteen females of advanced years assembled in a motor coach, and the expedition was seen off from the Vicarage door by the Rev P.P. Briscoe in person. Under his eye, Barmy tells me, the Beauty Chorus was demure and docile. It was a treat to listen to their murmured responses. As nice and respectable a bunch of mothers, Barmy says, as he had ever struck. His only apprehension at this point, he tells me, was lest the afternoon’s proceedings might possibly be a trifle stodgy. He feared a touch of ennui. He needn’t have worried. There was no ennui. Life is short. Holidays are even shorter. I shall be taking the commendable spirit of the mothers of Maiden Eggesford on mine. Thanks so much. I don’t want to make any rash promises…. “Effervesce” is la mot juste. I am just now re-reading the Donaldson and Benny Green biographies of Plum and have renewed enthusiasm for his dedication to finding the exact words to convey the sparkling images in his mind. Mind you, the point of “Tried in the Furnace ” is the perfidy of the modern girl! Do you think so? I had not picked up on that theme. I loved Barmy’s ability to empathise — after a goodish deal of time and reflection — with the pent up mothers. It is such a great story, isn’t it. I had real difficulty deciding where to start and stop quoting it in this piece. I could happily have retyped the whole bally thing. Oh, I wish you had! I’ve been searching all over the internet hoping to find it again. I love that story so much; it’s an absolute gem of humour and pacing and always cheers me up. That brilliant line alone: ‘He need not have worried. There was no ennui.’ makes you start laughing already, just knowing it’s going to be good. He wrote *so well*. But, reading the biographies, he really put the hours in and, of course, there was the classical education which he swore by as a writer, as well as his innate talent. Oh my gosh I absolutely LOVE this story! I do hope you manage to ‘effervesce’ yourself to the fullest extent on your holiday! Practically frothy! Thanks so much. Apologies to regular readers for neglecting Plumtopia while I’ve been enjoying a summer holiday with family. For a dash of holiday spirit, here’s last year’s holiday piece. I hope you too have been enjoying the delights of the season, wherever you are in the world. Those who use the humble mode of travel by a bicycle in Plumsville are many. A hero gets trapped into a fruitless expedition one night. A cop gets dislodged from a bicycle by a member of the canine species and falls into a ditch. Yet another cop resents a member of the public using a bicycle in the service of the Crown to impart cycling lessons to his heart throb. There is yet another danger that bicyclists face on the roads of Plumsville – that of being hit by a well-aimed tomato hurled by a mother who is out to declare a party open. Savour this piece from Plumtopia which serves a friendly warning to those who plan to use this environment-friendly mode of transport.